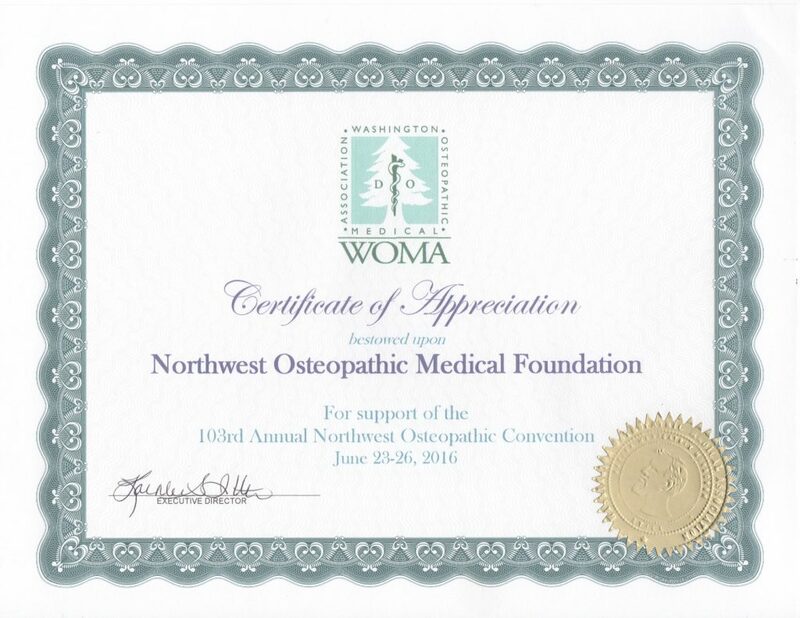 Each year, the Foundation provides $25,000 in support of the Osteopathic Associations of Alaska, Idaho, Montana, Oregon and Washington State. These grants are made in direct support of the Continuing Medical Education (CME) programs in these states. Many of our DO members run small businesses. When the doctor is off getting CME credits, the office is not seeing patients and there is no income for those days. The Foundation believes it is in the public’s best interest that these primary care physicians have the opportunity to stay current on the best practices in health care at a conference that is close to home and inexpensive. These CME conferences are approved by the American Osteopathic Association and feature speakers that are highly respected in the health care community. The Foundation is very proud of these programs and believe them to be some of the best in the nation! Some of them are even distributed live over the internet so doctors all over the country and participate in these high quality workshops.